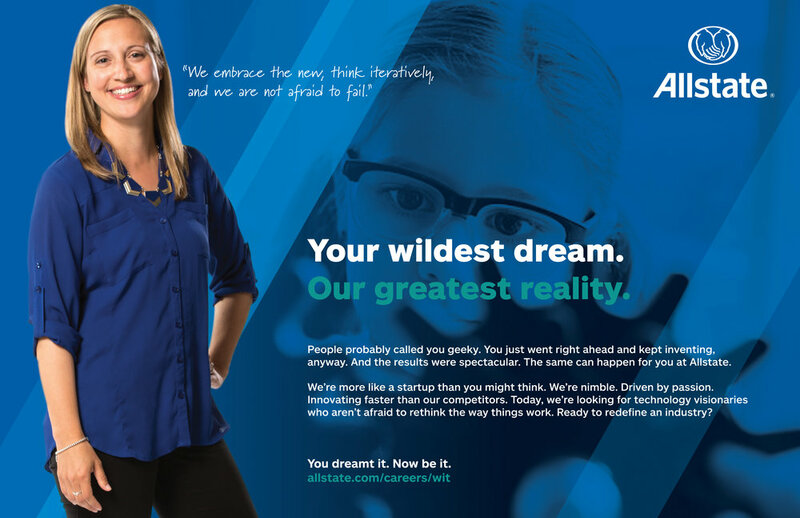 When Allstate was interested in hiring more women technologists and data scientists, they asked us for a fresh, creative approach to roll out at the industry premier event for women in tech, the Grace Hopper Celebration of Women in Computing. They needed an eye-catching concept with specific messaging that would resonate with this very desirable demographic. 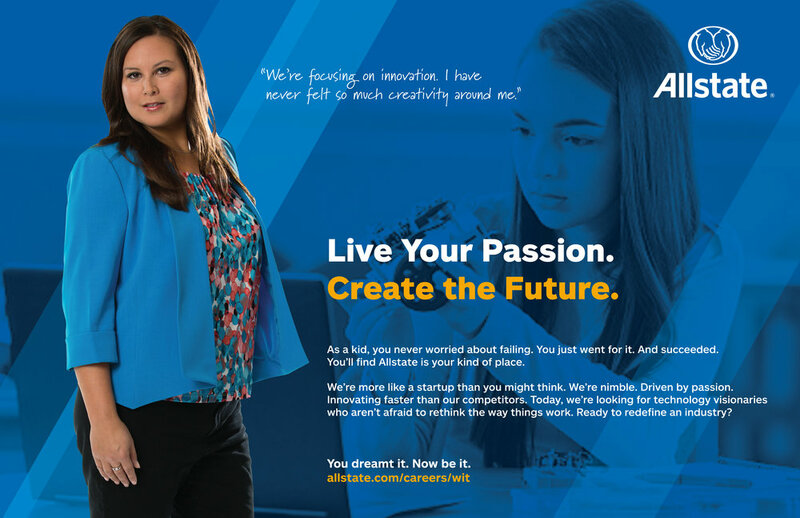 We created a bold, compelling campaign featuring successful, empowered women technologists already working at Allstate, with quotes about how they are living out their childhood dreams of working on the forefront of technology, artificial intelligence, and data science to improve people’s lives. We deployed this concept across a series of potential candidate touchpoints, including the event booth, the social media strategy, a special event giveaway, and a website highlighting Allstate’s recent innovations and promoting the company’s commitment to providing opportunities for women in tech. The company’s presence at the event was a major success: they increased the number of women hires they made, exceeded their target goals, and boosted brand awareness about their advances in technology.